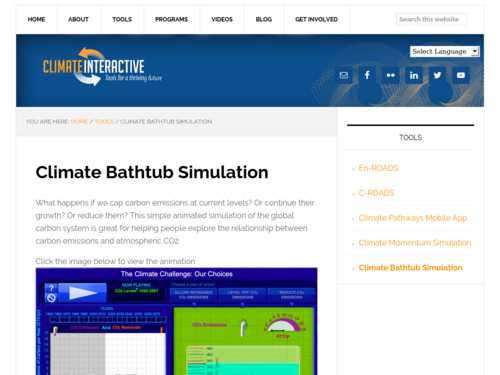 An activity focusing on black carbon. 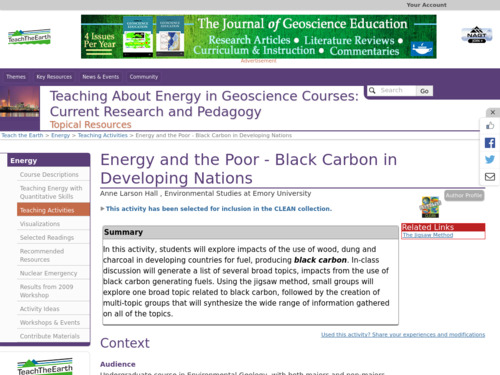 This activity explores the impacts of the use of black carbon generating wood, dung, and charcoal for fuel in developing countries. 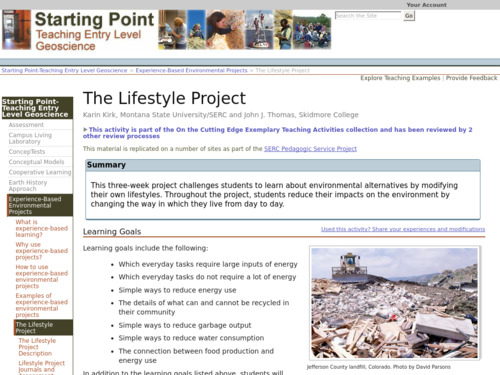 This multi-week project begins with a measurement of baseline consumptive behavior followed by three weeks of working to reduce the use of water, energy, high-impact foods, and other materials. 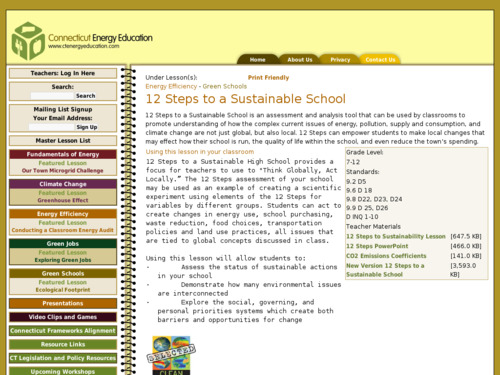 The assignment uses an Excel spreadsheet that calculates direct energy and water use as well as indirect CO2 and water use associated with food consumption. After completing the project, students understand that they do indeed play a role in the big picture. They also learn that making small changes to their lifestyles is not difficult and they can easily reduce their personal impact on the environment. 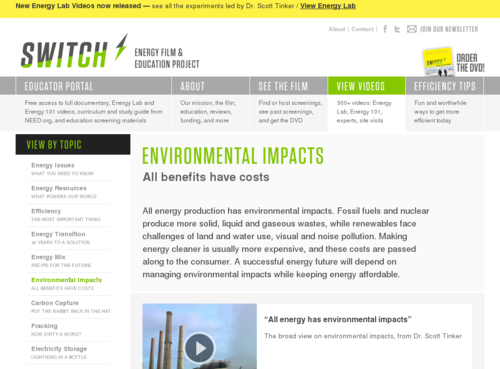 This video is one of a series produced by the Switch Energy project. 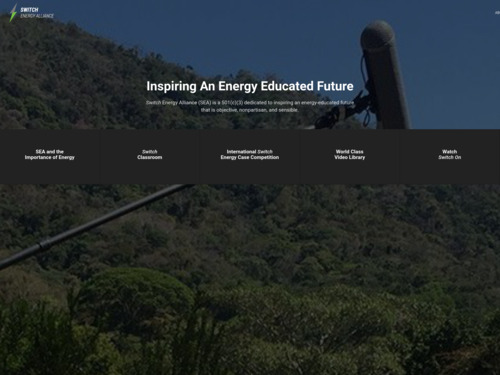 It reviews the pros and cons of natural gas as a source of energy. 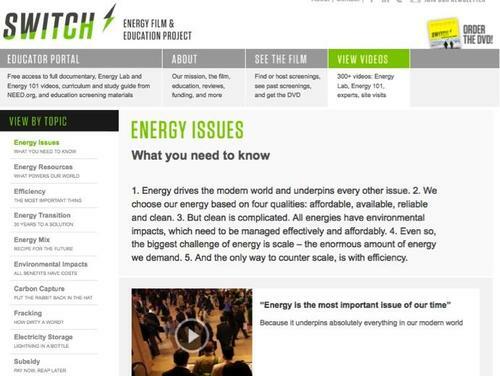 This video is one of a series from the Switch Energy project. It reviews the environmental impacts of various energy resources including fossil fuels, nuclear, and renewables. 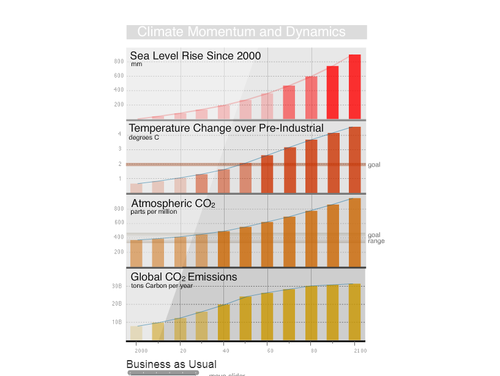 CO2 emissions as a specific environmental impact are discussed. 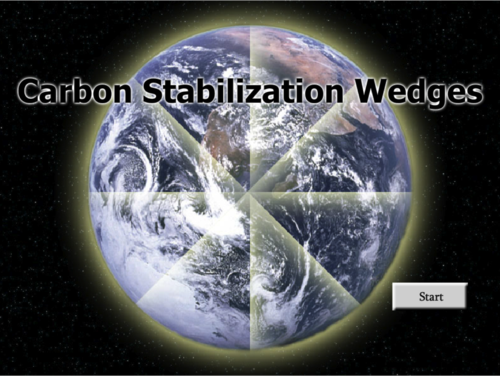 This interactive/applet allows the user to explore the potential increase in carbon emissions over the next 50 years, subject to modifications made by the user in various technologies that impact carbon output. 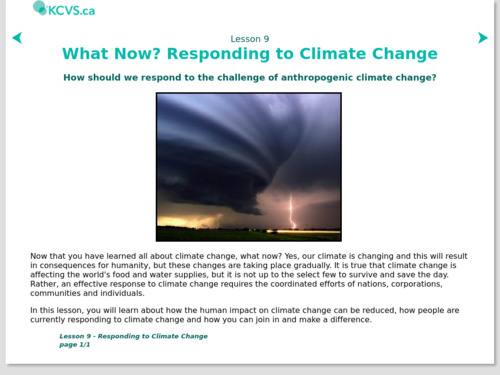 Part of the Visualizing and Understanding the Science of Climate Change module.